Part-deli, part-coffee bar, part-mini mart, part-gas station: Wawa is the EGOT winner of convenience stores. It’s certainly some of the freshest, fastest, tastiest food you can get at such a reasonable price point. 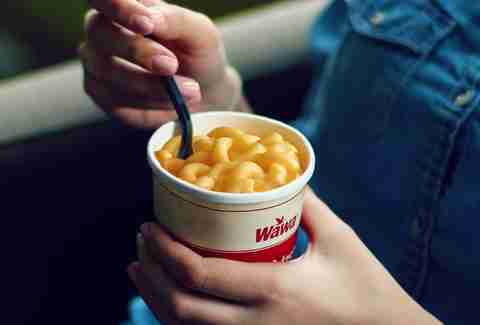 While some items are convenience fare -- we’re looking at you, warmed-over hot dogs, dozens of potato chip varieties, and half-gallon tubs of ice cream -- it’s Wawa's speciality items that really shine. 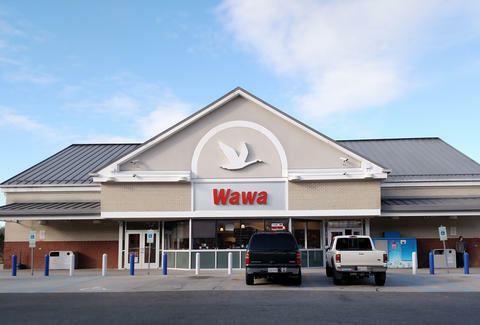 And if you're not going for the straight-up custom build, here are the Wawa staples worth your time, ranked from worst to best. Note that this list is inscrutably perfect, but if you disagree, I guess your opinion will be read and shrugged off in the comment section. 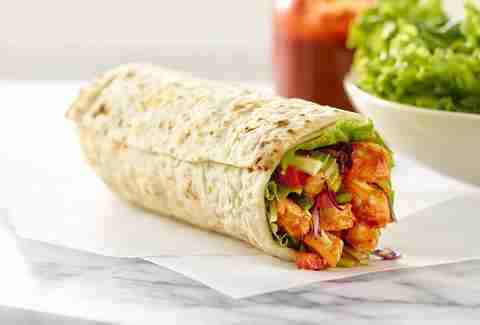 When you’re on a health kick, it might seem smart to splurge for one of these with your lunch order. But usually the minuscule carrots are dry. Save your 99 cents because these are truly the saddest sides available. This was like an experiment gone wrong. If the idea of mashing a Pillsbury cookie-dough tube into a pudding cup sounds delicious, you’ll love this. But honestly, it just tasted like having a mouthful of gross chemicals and artificial flavors. Skip it. The thick breading sunk these sticks on the first bite. The cheese doesn’t ooze so much as it sits there like it’s waiting for something interesting to happen. You tell me what’s good, mozzarella stick! You’re supposed to be the star of the show! What a waste of calories. If you’ve ever wanted generic nachos from a random movie theater in a bite-sized, deep-fried wedge shape, this is your chance. I ate three, but they gave me a tummy ache. This wrap is a trap. Just because the word “Sriracha” is in the title, it doesn’t mean it has any flavor. It’s blander than Jimmy Fallon doing Dubsmash with a baby. The cheese and crackers snack pack has its fans, although it’s less "We’re on a boat!" food and more "We’re in a Ford Fiesta" food. But for me, the grapes were mushy and the cheese was rubbery. It’s a shrug in a snack’s body. What are you, in kindergarten? Order a Shorti, for crying out loud. This is the kind of salty fatty food that only tastes good if it’s hot out of the oven. Once it cools down, all of its terribleness is revealed, like a food version of watching old episodes of Dawson’s Creek. 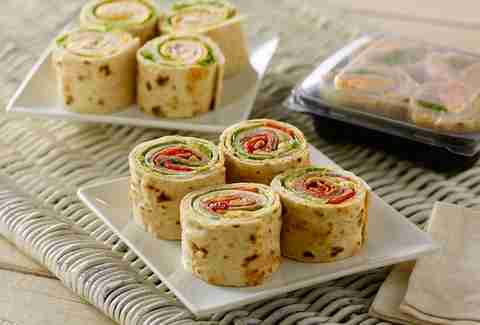 What if black pepper, lettuce, and cardboard threw a party and no one showed up? That’s what taking a bite feels like. These are best when you’re trying to be healthy as you nix the potato chips with your hoagie order. The slices are small and sometimes mealy, but hey, you’re trying to make better choices! That counts for something. Five bites come in a pack and that’s enough. The first one tastes great -- a little sweet heat from the sauce makes your tongue dance. But by the end, your fingers are stained, your stomach’s rumbling, and you’re seeing if you can pass the few left in the box off to friends and family. To its credit, the cheese is molten hot, which plays nicely with the warm pretzel. This is perfect when you don’t care about your sodium intake and need to feel like your food is hugging you from the inside. 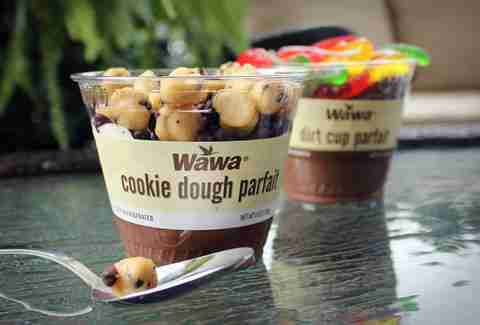 It’s great Wawa is jumping on the health food train. This salad was fine and I’m happy enough that it exists. It’s Justin Timberlake’s professional career as a salad, basically. You can find these guys on "Grab-n-Go Island," the oval-shaped fixture in the middle of all Wawas. The selection of fruit, almonds, peanut butter, and mini-bagel are great when you don’t feel like committing to a whole meal. They’re right by the register and pair perfectly with an iced tea. Wawa’s bacon is a little on the pathetic side. It’s as thin as Kermit’s arm and as crimped as a sheet of paper pulled from a jammed printer. But magic seems to happen when the bacon is layered on toasted white bread with lettuce, tomato, mayo, and deli meat. Now we’re talking! A little tub of caramel makes all the difference. The crisp apples are like little waiters bringing the smooth caramel to your lips. I’ll take two. If you don’t feel like chewing, this is your best bet. Yes, the mac &cheese is borderline mushy, but it’s part of the charm. Besides, it’s one of the best sides Wawa offers. Add a scoop of chili to take it to the next level. This has more flavor than you’d expect thanks to the Thai dressing. The mango chunks are a nice, tropical change of pace from the usual lunch fare. The toasted coconut flakes and graham cracker crumbles give this delightful parfait some texture. It’s not a bad snack when you’re craving pie but a slice isn’t anywhere around. This has no business being as delicious as it is. 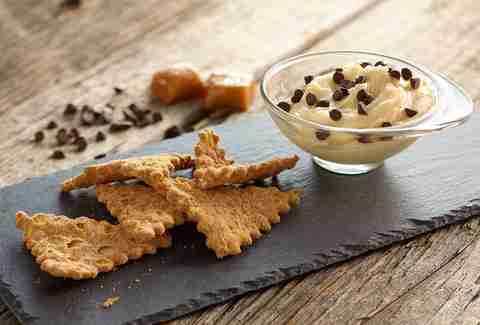 A heaping mound of cannoli cream is studded with chocolate chips and surrounded by cannoli shell shards. It’s downright addictive. Some people snag a breakfast sandwich, others clamor for a soft pretzel, but almost everyone gets a cup of coffee with whatever it is they're buying. It's impossible to miss miss Wawa’s coffee bar when you walk in: the bank of brews takes up a sizeable percentage of the floor plan. You have a range of roast options, from mild to bold, an island with a half-dozen creamers and various fixings. Even if you take it black, the coffee holds its own among the other big-name stops. 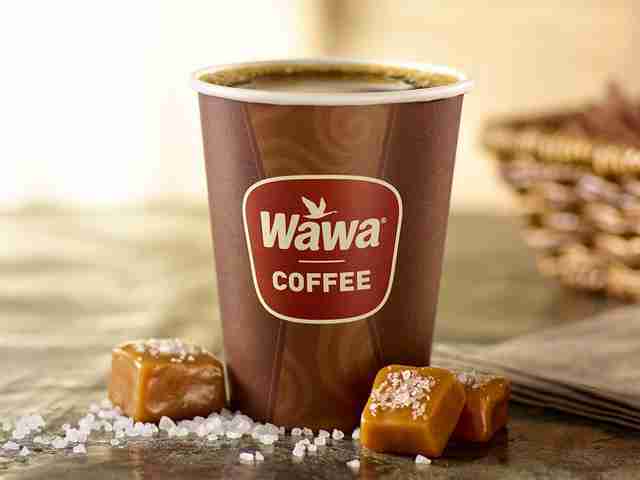 Along with the Liberty Bell or the Art Museum steps, Wawa’s coffee has become a Philadelphia icon. Wawa knows what side its bread is buttered on as it now celebrates Hoagiefest on an annual basis. They come in three sizes (Junior, Shorti, and Classic) and, with a few strokes of a touch screen, they’re made exactly how you want. Cold or hot, with veggies or with meat, they gets butts in the door. For the price and convenience, it’s a winner. This Thanksgiving-themed flavor bomb is a cult classic. Cranberry sauce, stuffing, and turkey come together like old friends around a holiday table. It’s a shame this sandwich isn't not offered year-round, but that’s also what makes it special. 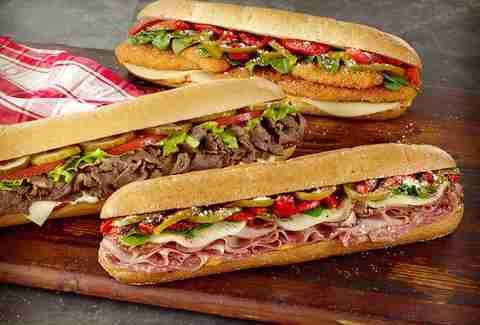 It's like Wawa's version of the McRib -- when it's on the menu, you get it. This frozen treat is worth the trip. It’s nearly half the price of its competitors, and frankly, it’s downright delicious. On its own, it’s not too sweet, but go nuts with the whipped cream and toppings if you want a more substantial sugar spike. 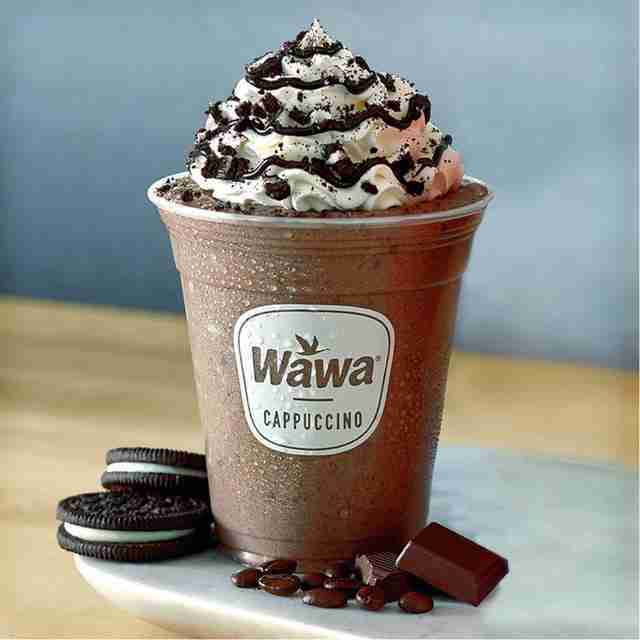 Sip your way to happiness, courtesy of Wawa. Anna Goldfarb is a writer in Philadelphia who will crush a Shorti turkey hoagie in four bites. Follow her @AnnaGoldfarb on Twitter and Instagram.